Congressman Steny H. Hoyer (MD-05) and Congressman Anthony Brown (MD-04) have formally urged their colleagues on the House Committee on Science, Space, and Technology to reauthorize funding for the James Webb Space Telescope (JWST) Program managed by NASA’s Goddard Space Flight Center (GSFC) in Prince George’s County, MD. This advanced telescope will allow mankind to see farther out into space than any of its predecessors, making the JWST one of the most ambitious missions the US has embarked upon. Goddard Space Flight Center will be responsible for providing components for the Integrated Science Instrument Module, which houses the telescope’s four main instruments: a near-infrared camera, a near-infrared spectrograph, a mid-infrared instrument, and a near infrared imager and spectrograph. JWST has faced a series of challenges during its development and construction, however there is strong belief that the leadership at NASA and Northrop Grumman Aerospace Systems, JWST’s prime contractor, are committed to success. We write in strong support of the James Webb Space Telescope (JWST) Program. When launched, JWST will be the largest, most powerful telescope ever built for space. This premier observatory will play an integral role for decades in the advancement of astronomy and astrophysics, and will preserve the United States’ role as the global leader in science and space. Managed by NASA’s Goddard Space Flight Center (GSFC) in Prince George’s County, Maryland, JWST is among the most complex scientific endeavors our nation has embarked on. This next generation observatory will allow us to see farther out into space and deeper into the past of the universe, answering many of mankind’s biggest questions regarding the aftermath of the Big Bang. The telescope will use infrared detectors to look at the universe’s first light; the origins of stars and planets, including ones that can potentially support life; the assembly of galaxies; and black holes. The scientists and engineers at GSFC are also responsible for providing components for the Integrated Science Instrument Module, which houses the telescopes’ four main instruments: a near-infrared camera, a near-infrared spectrograph, a mid-infrared instrument, and a near infrared imager and spectrograph. With any historic, complex, and cutting-edge undertaking such as JWST, there will be associated complications and risks. JWST has faced no shortage of challenges during its development and construction. After issuing its report, the Webb Independent Review Board (IRB) indicated its belief that the leadership at NASA and Northrop Grumman Aerospace Systems are committed to success. It is imperative that we move forward to address all remaining challenges and ensure that mission success is the highest priority. We are grateful that the IRB believes that JWST should continue and agree with this recommendation based on the “exceptional potential and science insight” JWST holds. JWST represents a giant leap into the future for the United States and humankind, and we are confident it is worth the wait. The JWST team, including many of our constituents who work at GSFC, should be very proud. 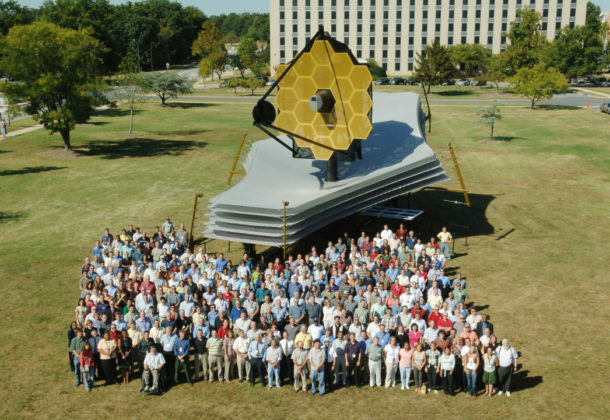 Thanks to their hard work, ingenuity, and creativeness, we now know that a telescope of JWST’s complexity is possible. We strongly support the JWST Program and its continuation. Thank you for your consideration and work on this crucial program, and we look forward to the successful completion of this important mission. For more information about House Democratic Whip Steny H. Hoyer, visit his Leader Page. And follow Congressman Hoyer on Facebook and Twitter.